The performance review meeting is over and you have all this feedback, but don’t know what to do with any of it. Little do you know, the feedback has the potential to benefit you, your coworkers and the company around you in many amazing ways. One such way is setting goals for improvement. Identify what feedback sticks out the most. The first step is analyzing what specific feedback can be used to make goals for improvement. Select the areas that need the most improvement, assign goals to them and list what you need to do to achieve those goals. Use these 5 Easy Ways to Engage Employees to help kickstart your goal-setting plan. Create goals within the department and company. Make Specific Goals (simple, sensible, significant) – Using the feedback from performance reviews, draft up some goals and make them as clear-cut and straight-forward as possible. Make Measurable Goals (meaningful, motivating) – Quantify your goals. For example, set a specific percent to increase social following by or X number of new leads for your business. Make Achievable Goals (agreed, attainable) – Masure sure the goals are realistic, but not too low. Shooting too high or low can reduce the utility of goal setting. Make Relevant Goals (reasonable, realistic and resourced, results-based) – Keep the goals within the perspective of the company’s ultimate goals. Make Time-Bound Goals (time-based, time-limited, time/cost limited, timely, time-sensitive) – Set goals that can be achieved within a set deadline. It adds urgency and weight to what you have to accomplish. Find an area for improvement that stands out as something that would benefit the company as a whole. For example, productivity, efficiency, time management, etc are all individual goals that impact the team overall. Be sure to keep the end goal in mind. It will make starting out on the right foot as simple as taking a single step. Physically writing out a step-by-step plan or checklist gives goals shape. Making a roadmap for the goal plan is essential for fueling ideas with feedback. Organizing the plan by topics of discussion from performance reviews will help assign what pieces of feedback fit where they need to. Also, physically cross out each step as it’s completed. This action gives your progress a sense of existence. People who write down their goals are 1000% as productive as those who don’t. – Goal Setting 101 by Brick. Comma. Jason. Track Goal Progress with iRevü. 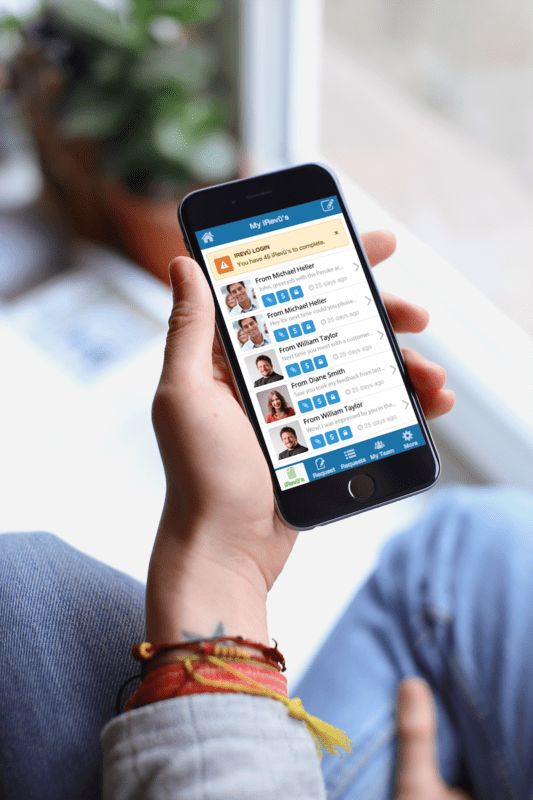 Tracking progress helps keep accountability in perspective, and iRevü makes tracking your progress simple with its mobile and continuous, real-time feedback. Managers and employees alike can communicate through micro-feedback conversations to help build momentum behind setting and achieving goals. It keeps the records, engages employees and expedites the feedback process, creating a goal-setting workflow from start to finish. Providing employees with real-time performance management can increase operating margins 8%, reduce unplanned turnover 60% and improve employee performance. Maintain goals and continue the improvement. One common misconception about setting and achieving goals is that they end as soon as they’re checked off the list of “things to do.” Goal setting is a continuous process that builds on itself like the foundation of a skyscraper; new goals compound on the old to create a living, breathing chain of progress and improvement. Set up regular check-ins and reminders to help keep goals visually attainable and consistently in perspective. With regards to performance reviews, feedback and goal-setting are tools both employers and employees can use as fuel for improvement. It’s all part of the never-ending, brick-by-brick process of performance management, and every tool plays its part. Learn more about how to set goals, use feedback and manage the improvement process with our Employee Feedback Guide!